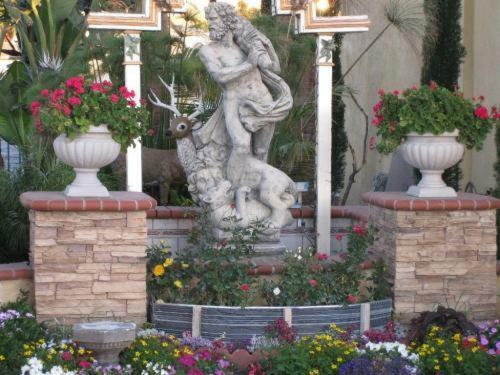 Find places to stay in Oxnard, CA and other fun things to do. View our list of attractions, activities, events, restaurants and visitor information. Currently as low as $585.00/night! 3321O - 1235387 Double Decker Dream House is located in Oxnard. Guests staying at this holiday home have access to a fully equipped kitchen.The holiday home is fitted with flat-screen TV 2 bedrooms and a living room.Malibu is 42 km from the holiday home. Non Smoking Rooms. Currently as low as $460.00/night! 3605O 1212028 - The Shrimp Shack is situated in Oxnard. Featuring sea views this holiday home also includes free WiFi.The holiday home features 1 bedroom a living room and a kitchen with a dining area and a dishwasher. A TV is provided.The holiday home offers a terrace. Non Smoking Rooms. Currently as low as $113.04/night! Free breakfast an outdoor pool and rooms with free Wi-Fi and refrigerators come standard at the downtown Best Western Oxnard Inn. This two-story hotel offers 106 rooms with free Wi-Fi coffeemakers microwaves refrigerators and ironing facilities. Free Internet, Swimming Pool,Outdoor Pool, Free Breakfast, Pets Allowed, Non Smoking Rooms. Currently as low as $149.25/night! A block from the beach the non-smoking Channel Island Shores offers cozy condos with full kitchens and free Wi-Fi. This two-story property has 25 condos some with tile floors and all with separate living and bedroom quarters full kitchens and cable TV. Free Internet, Non Smoking Rooms. With a location one block from the ocean the pet-friendly Comfort Inn Near Channel Islands offers our guests free Wi-Fi breakfast manager's reception and parking plus a heated outdoor pool with hot tub. Free Internet,Outdoor Pool, Non Smoking Rooms. Indoor and outdoor pools free internet access and on-site dining options are just some of the perks at the non-smoking Courtyard Oxnard Ventura. Free Internet, Swimming Pool,Outdoor Pool, Restaurant, Non Smoking Rooms. 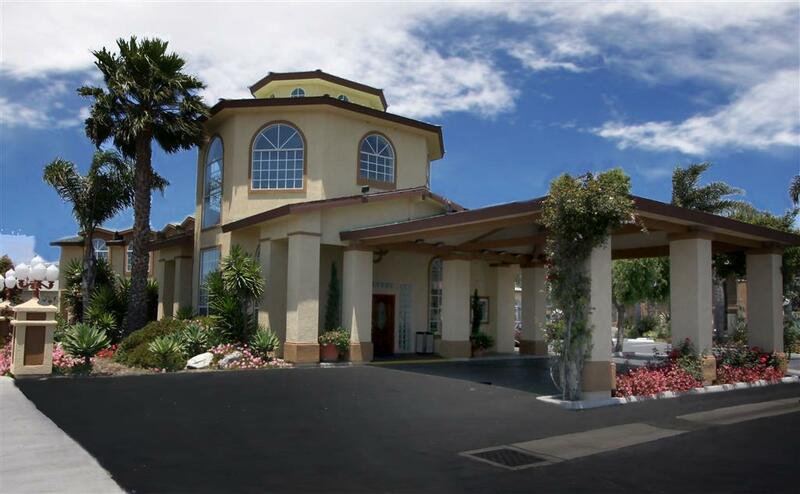 Providing free WiFi Del Playa Inn Motel is set in Oxnard. All rooms feature a flat-screen TV with cable channels and a private bathroom.At the motel rooms include a desk. All rooms will provide guests with a microwave.Malibu is 38 km from Del Playa Inn Motel. Free Internet. Currently as low as $183.08/night! With an oceanside location an outdoor heated pool free breakfast and a spa the Embassy Suites Mandalay Beach Hotel & Resort enchants guests. Swimming Pool,Outdoor Pool, Non Smoking Rooms. Free Wi-Fi and functional rooms with microwaves and mini-fridges come at hard-to-beat rates at Flamingo Motel Oxnard. This two-story motel has 22 rooms with free Wi-Fi flat-panel TVs with cable channels microwaves and mini-fridges. Free Internet, Pets Allowed, Non Smoking Rooms. Overlooking the harbor the non-smoking Hampton Inn Channel Islands Harbor welcomes guests with free Wi-Fi free breakfast an outdoor pool and a tennis court. This three-story hotel offers 95 rooms with triple-sheeted bedding coffeemakers ironing facilities and cable TV. Free Internet, Swimming Pool,Outdoor Pool, Non Smoking Rooms. Currently as low as $129.13/night! An outdoor pool with a hot tub a scrumptious restaurant and rooms with free Wi-Fi and microwaves come standard at the non-smoking Hilton Garden Inn Oxnard/Camarillo. Free Internet, Swimming Pool,Outdoor Pool, Non Smoking Rooms. Modern and elegant Homewood Suites by Hilton Oxnard/Camarillo welcomes our guests with free breakfast an outdoor pool and suites featuring flat-panel TVs and full kitchens. Free Internet, Swimming Pool,Outdoor Pool, Non Smoking Rooms. 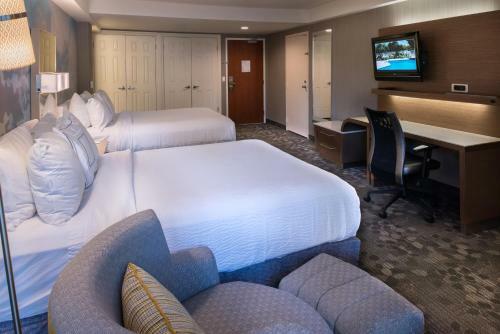 Easy access to golf rooms with full kitchens and free internet and two outdoor pools overlooking the greens make the non-smoking Residence Inn By Marriott Oxnard River Ridge one of our guests' favorite hotels in the area. Free Internet, Swimming Pool,Outdoor Pool, Pets Allowed, Non Smoking Rooms. With free Wi-Fi and kitchenettes The Palace Inn offers a beach getaway on a budget. This single-story motel has 15 rooms with cable TV free Wi-Fi and hairdryers. Free Internet, Non Smoking Rooms. Currently as low as $79.80/night! Nestled in downtown Oxnard near restaurants and the Oxnard Performing Arts and Convention Center Vagabond Inn Oxnard offers our guests complimentary breakfast free Wi-Fi and an outdoor pool. Free Internet,Outdoor Pool, Pets Allowed.